The annual celebration of the UK’s start-ups and early-stage small businesses has returned with National Start-ups Day UK running for its second year today. 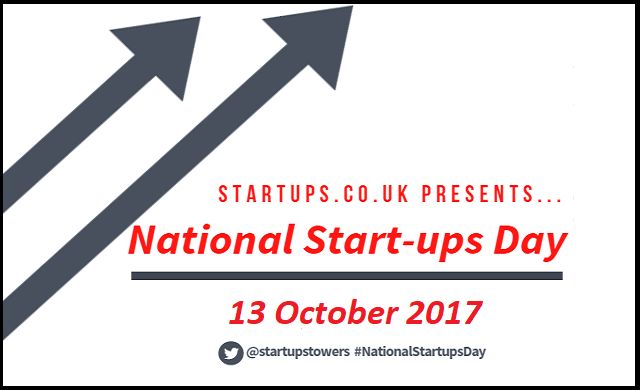 Organised by Startups.co.uk, National Start-Ups Day UK 2017 shines a light on exciting and innovative start-ups, while connecting start-up founders to advice and materials to help them succeed in business. ONS statistics show that there are now over 5.5 million small and medium-sized enterprises operating in the UK.#NationalStartupsDay is a chance to give back and champion those start-ups and small businesses making a difference, while offering support so that they can continue to thrive. To support the day, we’ll be generating awareness of the UK’s most promising and innovative early-stage small businesses by showcasing profiles of the 77 inspiring start-ups in the running for People’s Champion for the Startups Awards 2017. Readers and start-up peers will get the chance to vote for the companies they deem to be most deserving of the People’s Champion title, with the winner to be revealed at the Startups Awards 2017, backed by headline sponsor The Start-Up Loans Company, on Thursday 30 November. Today, we’ll also be sharing a host of dedicated free advice, guides and materials across our social media accounts – on Twitter, Instagram, and Facebook – to support start-ups and encourage the next generation of entrepreneurs. How can your business get involved with #NationalStartupsDay? Startups is encouraging its readers and supporters to get involved with the campaign and spread the word by tweeting #NationalStartupsDay and #PeoplesChampion this Friday 13 October. Submit your vote for Startups Awards 2017 People’s Champion here. Seize today as an opportunity to help a fellow start-up or small business; this could be anything from buying from an independent retail business, interacting with a start-up on social media and offering a piece of advice, or connecting a start-up to a individual or organisation you think may be of assistance. Give your start-up a boost by entering to win £150,000 equity funding from the October Start-Up Series. Entries close tomorrow so apply now as two start-ups will be chosen to win funding with Worth Capital! Spare a couple of minutes to tell us what life is really like as a small business owner, to help inform content and resources that we create.